10% OFF COUPON Get an extra 10% off with coupon: LEO113. 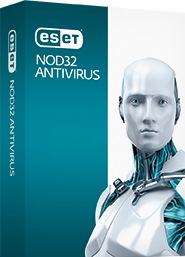 Not only can you get extra 25% savings when purchasing two or more licenses or protection for two or more years of Nod32 Antivirus 7, but we were able to find this hidden promo code that will save you an extra 10% at ESET.com. Just follow the discount link to see the full offer details and then after you choose which package that you would like to buy, just add the above code into the coupon box at checkout. Although this offer was created for listeners of the Leo Laporte Internet Radio, it’s open for all to use. This deal will expire on April 30, 2016. 33% OFF SALE Find Nod32 on sale at Amazon for up to 33% off. Head over to Amazon to see select versions of Nod32 Antivirus 7 now on sale at up to 33% off the sticker price. This deal cuts the 3-users version down from $59.99 to $39.99, which is $20.00 off. If you’re OK with purchasing version 5 (we are not quite sure how these versions differ), then you can easily save up to 50% off the sticker price. Most orders will also qualify for free standard shipping. Just keep in mind that the discounts will vary daily and among products/versions sold by the available merchants so see site for today’s deal. RENEWAL DISCOUNT Renew or upgrade at the ESET Renewal Center. If your current antivirus protection license has just expired, then head on over to the ESET renewal center to check out the deals now available for existing customers. You are required to provide your username and password as they will use this to check for your qualification. Discounts will vary depending on the version you choose, with the best deals on the 2-year options which cut the price down by another 15% off the lowest price we’ve seen. No promo code is required for this offer. FREE TRIAL Get 30 days of free trial use before you buy. If you’re not sure which antivirus protection is best for your PC or Mac, then check out the free downloads that are offered by ESET. As long as you haven’t tried ESET’s antivirus and computer security solutions before, then you can download any of the listed versions to test out for free. After 30 days and several reminders, the trial will automatically expire unless you purchase one of the available licenses.